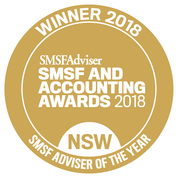 I get a lot of emails from SMSF Trustees who have read my article What can my SMSF invest in? asking about a best practice process for deciding on and implementing a new investment with their SMSF. So here is a basic checklist you should tick off for every investment just to avoid problems. Is the investment permitted by the SMSF trust deed? 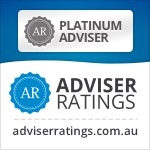 Is the investment in accordance with the requirements of the fund’s SMSF investment strategy? Is the purpose of making the investment to further the retirement benefits of the members of the fund ie. Does it satisfy the sole purpose test? Ensure the investment doesn’t provide financial assistance or a loan to the fund’s members and their relatives. Ensure the investment would not cause the SMSF to breach the 5% threshold for in-house assets. If you as Trustee are not dealing with the other party of an investment on an Non-arm’s length income then ensure the deal isn’t more favourable to the other party. But what if you are not sure an investment ticks all the boxes? While you should make your best effort to ensure that the investments are compliant with the legislation, it can often be difficult to tell whether a particular investment would be compliant or not. For example, an SMSF trustee would be able to acquire a property from a member if that property was deemed to be business real property (BRP) but while for most BRP it is obvious that it satisfies the definition like a stand alone wharehouse, for other properties it is far from clear such as a retail shop with 2 residential units above it. In this case, as trustee, you could either decide not to proceed with the acquisition or else they could seek further guidance. While trustees always has the option of seeking legal advice, they also have the ability to go straight to the ATO to seek their opinion before entering the transaction. I am not a lawyer but am constantly required to advise clients to get professional commercial or retail leases in place for properties they own in their Self Managed Super Fund and lease back to a related entity or a third-party. I was looking for some ideas on what to tell clients to look for in a proper lease agreement and Ian Macleod of R.P. Emery & Associates has kindly stepped up to provide our latest guest blog. So here are some greats tips and traps when leasing commercial property and remember you must establish a related lease on commercial terms and at arm’s length so while some issues may seem irrelevant, they become very important in proving to the Auditor that it is a commercial arrangement. If you have purchased a commercial property with your Self Managed Super Fund, you will want to take all steps available to protect your valuable asset. Here we’ve put together some of the most common traps faced by landlords when leasing commercial premises. We also offer some tips and guidance on how to safeguard and protect your investment property when leasing commercial space. Obviously not all of these issues will apply if your business entity is leasing the commercial space back from your SMSF. Many problems can be avoided at the outset by properly researching your tenant and eliminating any undesirable candidates. It is a lot easier to research your tenant before committing to lease the premises, than it is to deal with a problem tenant down the track. Referrals from past landlords – pick up the phone and speak with previous landlords of the tenant. This article might be helpful with the above searches. Once you have collected the above searches and enquiries on a potential tenant, you will quickly start to build an impression of whether the tenant is an appropriate candidate for your premises. If any alarm bells ring, you should either request further clarifying information or move on to the candidate. Is this a retail or commercial lease? First step is to determine with certainty whether the leasing arrangement is a Commercial or Retail Lease. If it’s a retail lease it will be governed by the Retail Leases act that exists in each Australian state or territory. If it’s a straight commercial lease there is far less regulation. The accurate identification of the parties on the lease goes to the heart of your agreement. Ensure that the tenant and any guarantors are correctly identified on the lease and match the spelling of the tenant’s individual or company names with copies of identification that you should have requested at the outset. Will you require your tenant to pay any additional costs in relation to the premises over and above the rent amount? These costs are called ‘outgoings’ and include things such as government rates and charges, security costs, maintenance charges, garbage disposal/collection fees, cleaning fees, air conditioning maintenance, elevator/escalator charges, etc. If you are intending to charge your tenant outgoings, you must specify the outgoings in your lease otherwise you won’t be able to collect them. Some landlords prefer to lump all of the lease costs together in the base rental amount, but others may prefer to charge tenants separately for any outgoings that may apply. If your lease is for retail premises, you will also need to set out any outgoings in the Disclosure Statement given to the tenant before the lease is signed. Guarantors are the individuals who guarantee the tenant’s obligations under the lease. They agree to be responsible for any loss or damage caused by the tenant. As a landlord it is ideal to secure a guarantee, particularly if the tenant is a company. If a tenant company defaults on a lease, the directors who stand behind the company will not be personally liable. This is due to the ‘limited liability’ of the company, which is seen as a distinct legal entity in its’ own right. If the tenant is a company, it is strongly recommended that the directors are added to the lease in their personal capacity as guarantors. You must ensure that they sign the lease both in their capacity as the directors of the tenant company and in their personal capacity as guarantors. It is important to take security in the form of a cash deposit or bank guarantee, to adequately safeguard your investment should things turn sour. If the tenant defaults under the lease, you can draw on the security deposit or bank guarantee for any losses or damages due to the tenant’s breach. Make sure the tenant has provided you with the security deposit (or bank guarantee) before they take possession of the premises. The tenant will quickly lose motivation to provide the security once they are in the property. If the tenant is providing a bank guarantee, they should speak to their bank as early as possible in the negotiations, as there is often a wait for bank guarantees to be drawn up. Give some consideration to a well worded permitted use definition in your lease. If you don’t provide some boundaries as to how the tenant may use your premises, you may find yourself uncomfortable with how your premises is being used. While a well worded ‘permitted use’ definition will give you control over how the tenant is using your premises, if overly tight or restrictive, then the tenant may not have enough scope to organically grow and expand their business. In this regard, your permitted use definition should balance the needs of the tenants and give them room to grow or expand their business activities over time if they choose to do so. If you are intending to review the rent over the term of the lease, then you will need to make provision for this in your lease. Make sure that you state the intervals at which the rent will be reviewed and the method by which the rent will be adjusted. Common methods of rent review are: by reference to the movement in CPI, by a fixed percentage (e.g. 3%) or by a fixed amount (e.g. $100). The frequency by which the rent can be adjusted also needs to be stated, for example, on each anniversary of the lease start date, or every 3 years, etc. Unless specified in your lease, it is unlikely you will be able to increase the rent throughout the term of the lease. If your lease is for retail premises, you will also need to specify the details of any rent reviews in the Disclosure Statement given to the tenant before the lease is signed. Your lease should require that the tenant provide copies of all up to date insurance policies to the landlord at the start of the lease and on renewal of the policies. Each state and territory will have a specific definition but as a general rule if your tenants are selling or hiring goods or services direct to the public, then the lease will be a ‘retail lease’. Retail leases come under state specific retail leasing legislation. When beginning lease negotiations for a retail lease and before the lease is signed, you will need to give your tenant a Disclosure Statement outlining the key aspects of the lease, and a copy of the proposed lease. Once the lease has been signed by the parties the landlord is required to provide the tenant with a full copy. Be aware that if the Disclosure Statement is not given, or if it contains false or misleading information, then the tenant will have the right to terminate the lease within a certain time frame. It is important that you actively monitor your tenants’ performance of its obligations under the lease during the lease term. Dealing with breaches and where necessary, terminating the lease, can be a drawn out process. As such, it is important that you identify any breaches as soon as possible so that you can begin the process of having the tenant rectify the breach and if necessary, terminate the lease. Addressing breaches early will ensure that any losses due to unpaid rent or damages, are kept to an absolute minimum. The use of the property – is the tenant using the premises as permitted. Make sure the tenant is not using the premises for an illegal or dangerous purpose. Overdue rent payments or damage to property can quickly add up, so it is imperative that you actively monitor your tenant and your property throughout the lease term. Keep up-to-date with your responsibilities under the lease – especially with regards to repairs and maintenance of the premises. This not only ensures a happy tenant and helps to maintain a harmonious relationship between landlord and tenant – it also goes towards maintaining and increasing the value of your valuable investment. Even if you have taken every precaution available, sometimes things still don’t work out. In this regard, it is worth asking yourself at the outset: what happens if things go wrong? Will I be able to end the lease early? If your tenant is causing you problems, stress and costing you money, an effective exit clause in your lease will enable you to end the lease promptly and efficiently. If the tenant becomes bankrupt or insolvent. Generally, before you can terminate a lease, you will need to give the tenant notice of any breach, and a reasonable time to rectify the breach. If the tenant defaults under the terms of the lease, don’t rush in like a bull at a gate and re-take possession of your premises. You still have certain obligations to the tenant, such as giving the tenant quiet enjoyment, which must still be adhered too. Should the tenant breach the lease, you must follow the procedure set out in the lease and comply with your obligations at law. Generally, you need to give the tenant notice of the breach and allow them a reasonable period of time to rectify the breach before terminating the lease. Your notice should identify the breach, identify the steps to be taken to rectify the breach, and provide a reasonable time frame for the breach to be rectified. Your negotiations with the tenant should be complete and the lease documentation finalised before the tenant is given possession of the premises. A tenant is given certain rights at law at the time possession of the premises is granted. If the terms of the lease are not negotiated and finalised before the tenant moves in, then this can cause issues down the track. These are some of the pertinent issues to consider when leasing a commercial space. Your obligations don’t end once you secure a tenant. As outlined above, you should be actively involved in your lease not only at the start, but also during the term of the lease and at the lease end. If your business is leasing the property back from your SMSF, most of these potential issues will not be relevant to you. However, you will still do need to conduct the lease transaction between your business entity and your SMSF on an ‘arms’ length’ basis on commercial terms as if it were between two unrelated parties. For this reason, you should still prepare a written commercial property lease or a retail lease.